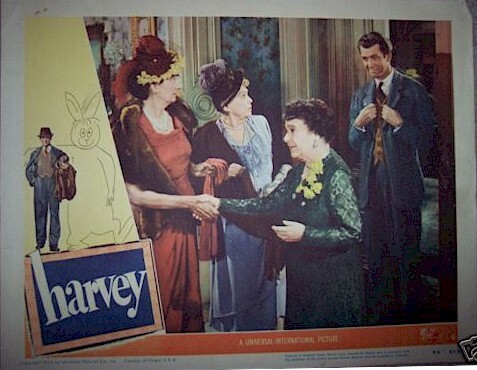 Original Lobby Cards, Signed photo & Autographed Sketch of "Harvey"
1950 - Considered the BEST of the lobby card set. 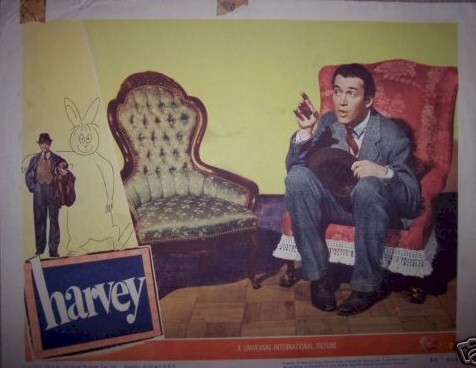 This vintage "Harvey" card shows James Stewart is a most memorable scene having a conversation with Harvey the rabbit. Just a real beauty!! 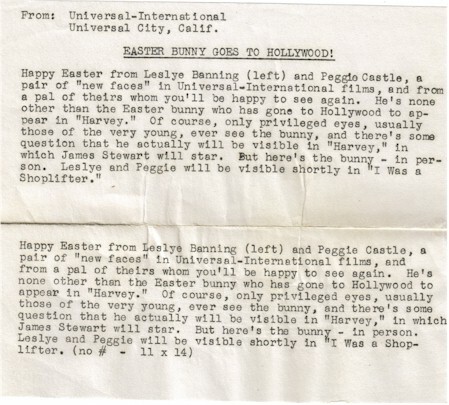 Very good condition with some tape stains on top border not affecting image area. 1950 - Next to the card above this was the 2nd BEST card of the set. 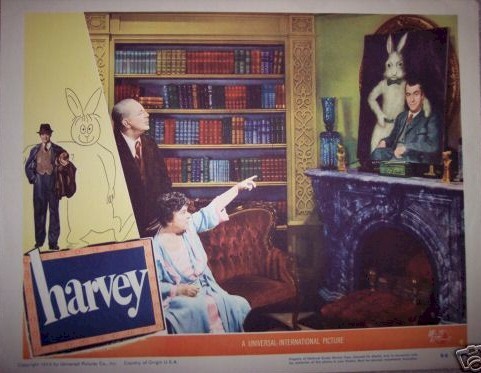 When Stewart's Aunt sees for the first time the portrait of James and Harvey. When a great scene!! 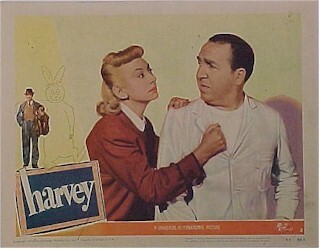 And a striking lobby card. 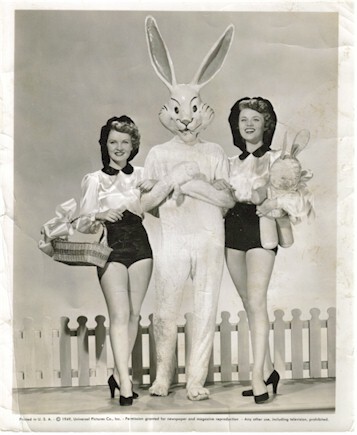 1950 - Another great lobby card from this most endearing James Stewart classic. The looks James Stewart gets from everybody? They think he's crazy! One of the great scenes in the movie Jesse White and Elwood Dodd's Niece ( I think Cecil Calaway) engage in a romantic encounter (kind of). 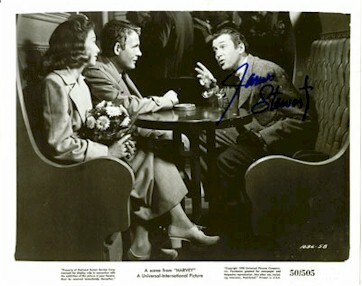 An original, authentically signed James Stewart Original photo still from "Harvey".